Well, the warm November was nice while it lasted. Now the holiday season is here, along with the colder weather – and some snow in areas of the state. Deer hunting, Thanksgiving weekend, and more are all happening now and we’re about to roll into December! 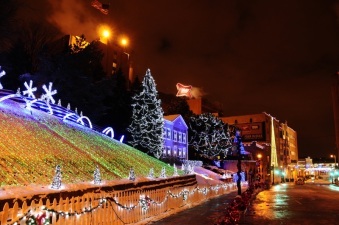 With plenty of holiday lights and events, Christmas-themed marketplaces, parades, snowfall in parts of the state and all the winter recreation that comes with it, there’s plenty to explore in Wisconsin on a State Trunk Tour highway – or one of the county or rustic roads. There are 54,000+ square miles of the state to experience. Pick Some Roads and GO! !